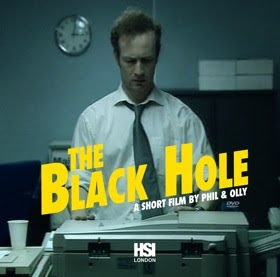 This is a fascinating super short short film, titled The Black Hole. Careful there, dude! Check and see what I'm talking about. Be sure and leave your ratings below. Phil & Olly aka Diamond Dogs met in the last murky years of the 20th Century at one of Wimbledon School of Arts now legendary parties. They teamed up in 2003 and began shooting no budget promos whilst busting their balls as Art Directors to pay their bills. Phil & Olly continue their careers as editor & art director respectively to fund their directing projects in a world of ever shrinking budgets.